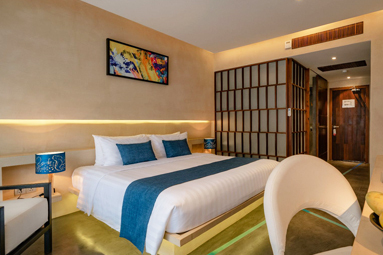 Located in the heart of Siem Reap city, just 5 minutes drive to Old Market, Pub Street and night markets; 10 minutes to Siem Reap International Airport; and 10 minutes to Angkor Temple, UNESCO World Heritage Site. 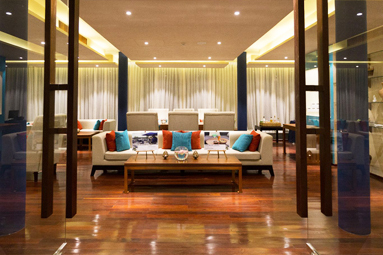 Luxurious designs, comforts and beautiful landscapes with mature trees and flowers throughout the hotel premises. 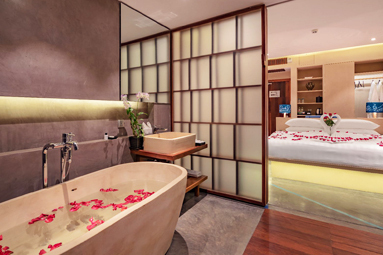 Hotel brand and concepts are connected with the legend “The Churning of the Ocean of Milk” which was scripted at Angkor Temple, Gates of Angkor Thom, and other temples. Designed with respect to the oldest big trees aged 120 years, (the old “Sdao Tree at Candi Restaurant & Beng Tree at Infinity Spa), whose leaves can be used in our signature welcome drinks. One of biggest salt-water swimming pools in town with mature, beautiful trees and flowers. Luxurious sky bar “Doung Tara Sakmut” serves variety of bespoke international and creative cocktails, and famous wines. 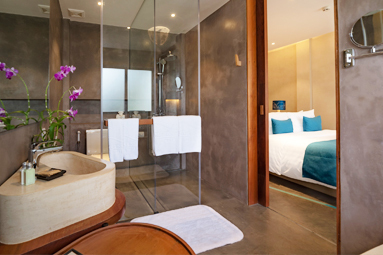 Guests can see a 360-degree view of Siem Reap city, and top view of Angkor Wat Temple. Experienced management teams from top international hotels, and well-trained staff. We grow “organic vegetables” at An Chagn village, and support the community villagers at Chreav village in Siem Reap to supply our hotel. We actively support our community, environmental projects, and corporate social responsibility “CRS”, and hire disable staff to work at hotel. Designed to fit all kind of guests from singles, couples, and group travelers. Great for families with many Family Suites available, kid’s pool and activities for kids. 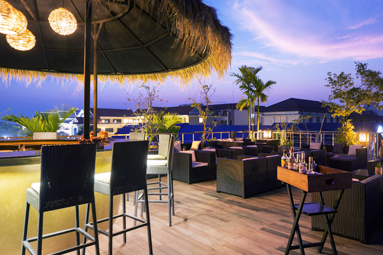 Sakmut Boutique Hotel, is your affordable upscale luxury hotel which comprises 56 rooms and suites, with a huge salt-water swimming pool, all-day fine dining restaurant, luxurious sky bar, unique VIP lounge, and a spa. 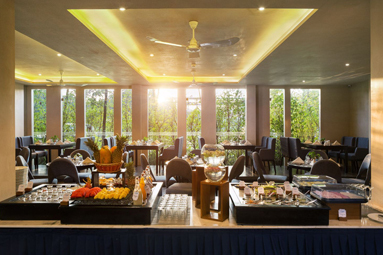 The hotel is set in lush tropical gardens surrounded by fully grown trees and tropical flowers.